If you would like to meet with girls and guys from Germany, online German chat sites will provide you what you want. There are many chat sites on Germany and you will able to get new partners. You can learn about German culture, language and country with these sites and you will have friends from Germany. There are many beautiful German girls and German guys on these sites. We provide you some sites on here, we have tested them most of sites for you and you will find out Top 10 sites in our list. If you want to suggest any sites, you can mention about that with commenting this post. There are IRC related sites, sites like Omegle, sites like Chatroulette and some dating chat sites on our list. There are video chat, non-video chat, audio chat, text chat sites. You will find any kind of site here. You will find more information about sites below of their addresses. It will be quite easy for you to use them because we will tell you how to use all of these sites, shortly. You will able find review of all popular German sites on How to Chat Online. Spin.DE is a chat site where you can meet with random people. It’s an online community where you can meet with people. However you need to register to site if you would like to chat on the site. You need to be 16 years old at the least. You need to fill required fields on the site for getting full membership. You won’t need to pay any service of the site. You can get 2 accounts per IP, if you get more, you may get ban from the site. 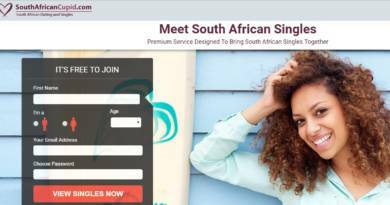 After you register to site you will need to activate your account. The site is in German language. You can use Google Translator to translate Spin DE. These are chat rooms on the site which you can use: 30+ Friends, 30+ Flirt, 20+ Flirt, Gothic. Knuddels.DE is another German site where you can meet with girls and boys. Knuddels DE is a quality chat site which has different chat rooms. There’s a flirt channel on the site where you can meet with people who are older than 18 years old. If you are older than 20 years old, there’s a channel which is called as Over 20 on the site. If you are a game fan, you can still join Games chat room on the site. Are you teen or kid and you want to chat with people around your age? Don’t worry! There’s a chat room for you which is called as Under 18.There are many chat rooms which are suitable for you on the site. That’s why people like here. It’s one of the best online German chat sites. ChatCity.DE is an awesome chat site for meeting with German people on the site. You need to register to site if you want to login to system. Click on Login link which is standing left sidebar of the site and click on “Noch nicht registriert?” link. Enter your username, email address and password to site and you are done. Now you will able to join chat. Click on chat and then “jetzt online”. There are room for guests and members. We are going to give you more information about ChatCity DE in the future. ChatTalk.DE is another chat room based chat site where you can meet with German people. There’s no video chat and audio chat on the site and you need to be 16 years old at the least for chatting on here. There are some good chat rooms on here for meeting with people. There are many females and males on ChatTalk DE. Webchat.DE is very qualit chat site for meeting with German people on chat rooms and WebChat DE is really very good chat site. VideoChatDE is a video chat site where you can meet with German people. There are also people from Austria, Luxembourg, Liechtenstein, Belgium and Switzerland. All features are free on VideoChatDE. 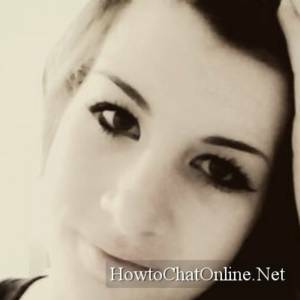 These are top 10 German chat site of How to Chat Online. You will able to find more information about these sites in the future. Hi! I wanna meet with Turkish girls who are living in Germany.